Camps and vacations over, the boys focus on a new school term, Tertius showing great enthusiasm for fourth grade. He reminds me that he's signed up to learn the violin. "You know what I like best about the violin?" he asks. The timbre? The repertoire? The consonance? "What?" I reply. "It comes in different colors," he says. We go to see The Dark Knight Rises, which holds the boys' attention, despite its nearly three-hour length. On the way home, we note where we may have seen the actors in other projects. Secundus has Morgan Freeman in Dolphin Tale, and they may remember Gary Oldman in the Harry Potter series. 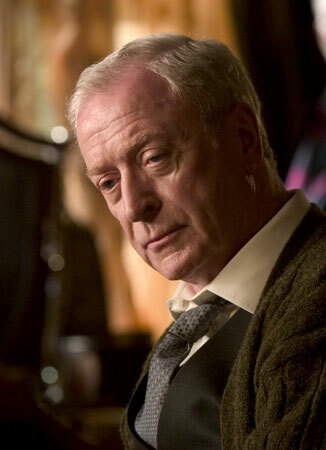 "And you recognized the man who played Alfred the butler, Sir Michael Caine?" Secundus, on a roll, reluctantly admits defeat. "'You were only supposed to blow the bloody doors off!'" I prompt by quoting The Italian Job, in an enviable and flawless Caine impression perfected by merely every other Englishman on the planet. "Oh, I thought you meant the other Sir Michael Caine," he answers. Oh, that wacky second amendment. Crossing the family room without my reading glasses, I stub my foot badly on an unexpected item in the middle of the floor. It's Tertius's discarded nerf rifle, orange plastic camouflaged against the light wood floor. I'm going to lose a quadrant of the nail on my big toe, which is bleeding. "I hope you didn't get any blood on my gun," he comments scathingly.